Free online virus scan is a very popular service among all PC users worldwide. The reasons are obvious - always up-to-date antivirus signature databases, ease of use, simple interface which even novice users find comfortable to work with (because all it takes to run a scanner is a couple of mouse clicks), quite wide choice of scanners at no cost. Anyway, it would be foolish not to use the option of online virus scan if such can help when your PC security is questioned. Always free to use! No demo versions, no trials, no registration keys to enter. Online virus scanner cannot be corrupted by infections hiding somewhere inside Windows files, while this does happen to on-disk installations of PC security software. Some sophisticated malware can easily damage antivirus software installed under Windows and make it absolutely useless. There's a choice of services so you can always decide what you want specifically to be done in each case. 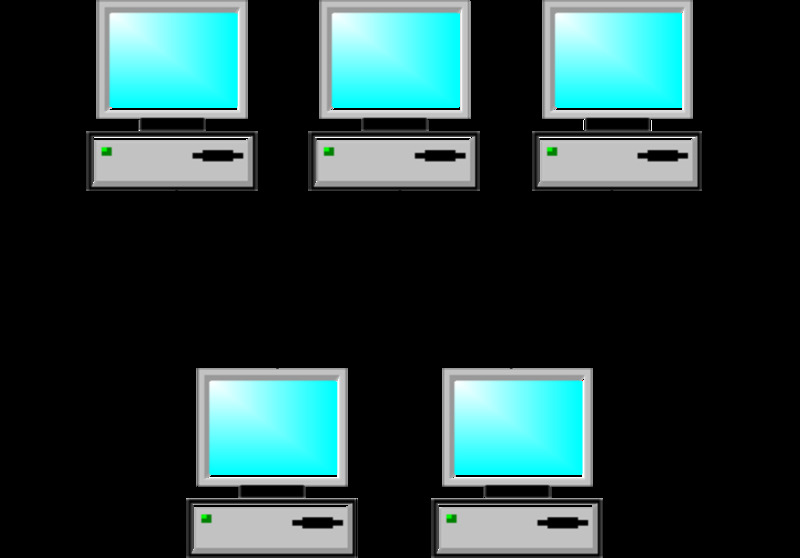 Online scan services allow for removal of rootkits, spyware and other threats in addition to virus infections. But you can't really install several antivirus applications under Windows simultaneously (some techies suggest that you can use 2 antivirus softwares installed side-by-side, but you may find resident scanners 'fighting' in memory to kick each other out of RAM space). Sometimes you can't install an antivirus because the already infected Windows ruins the setup process. This is when you either go for a CD-bootable anti-virus, or load a browser and initiate an online virus scan. If you dislike some particular online virus scanner, there's no need to go through a removal process like installed programs require. Downloaded antivirus signatures are kept as temporary files, so they're easily removed from the hard drive via settings of a browser. There are no changes made to the sensitive Windows registry (arguably the most vulnerable part of Windows). Online scanners cannot perform when there's no stable Internet connection. 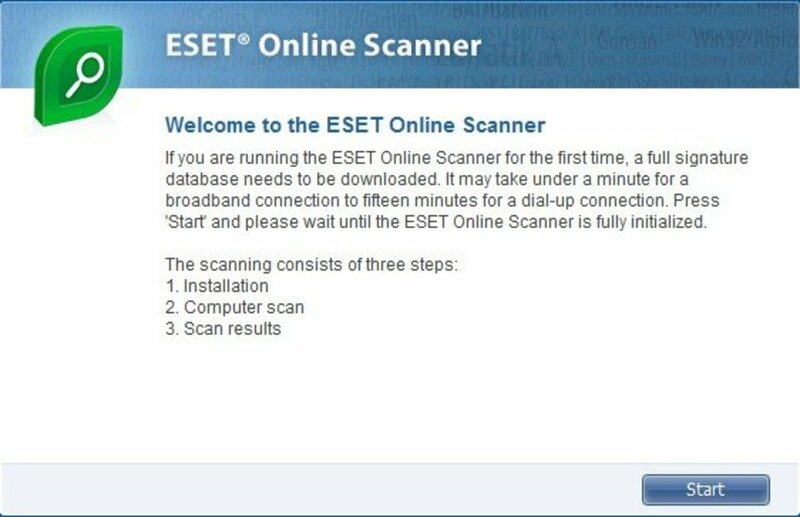 If a virus messes up the TCP/IP configuration, chances are you will not be able to use online scan service. A browser will require certain privileges on part of the user for the online scan to perform. If privileges are limited and there are no sufficient rights under user account to download signature files, etc, online antivirus will be unusable. So user accounts with restricted rights may experience a problem. Smart virus can prevent online scan from running. Online virus scan cannot prevent future infections. Not all online virus scan service offers removal of detected malware - some only report the found infections. 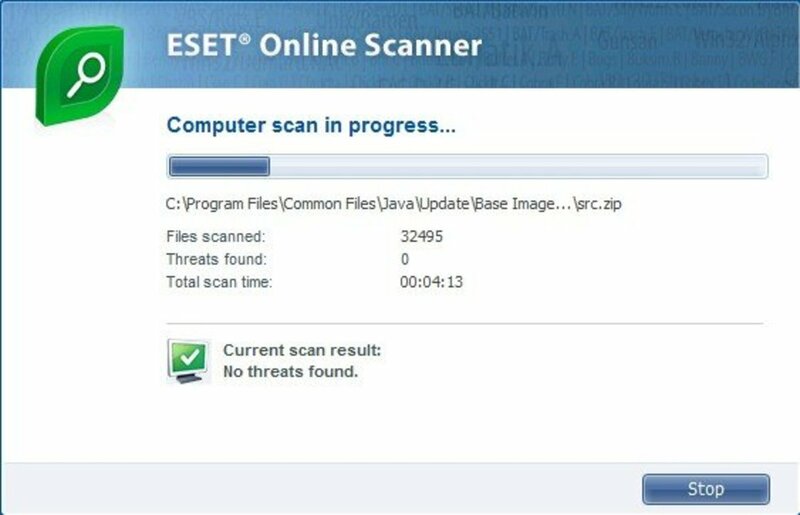 Because most online virus scanners depend on Internet Explorer and ActiveX, it may be necessary to repeat the scan after restarting computer, and/or switching to another scanner. This is because malware often corrupts IE system files and injects malicious code into IE settings, so it is not always possible for the scanner to remove all detected threats at once. Some malicious entries are left, but the dependence of alien files is broken, so the next time you load up the scanner, it procedes with the removal process and cleans out the PC. Below I'm listing most popular (in my opinion) services offering free online virus scan. BitDefender Internet Security 2011 provides all the security your Internet-connected family or small business needs. BitDefender appeals to my aesthetics - I like its interface. It works in two modes - simple and advanced, depending on how much information you want displayed. The progress bar is very convenient. It shows the number of scanned files, infections, and actions taken. 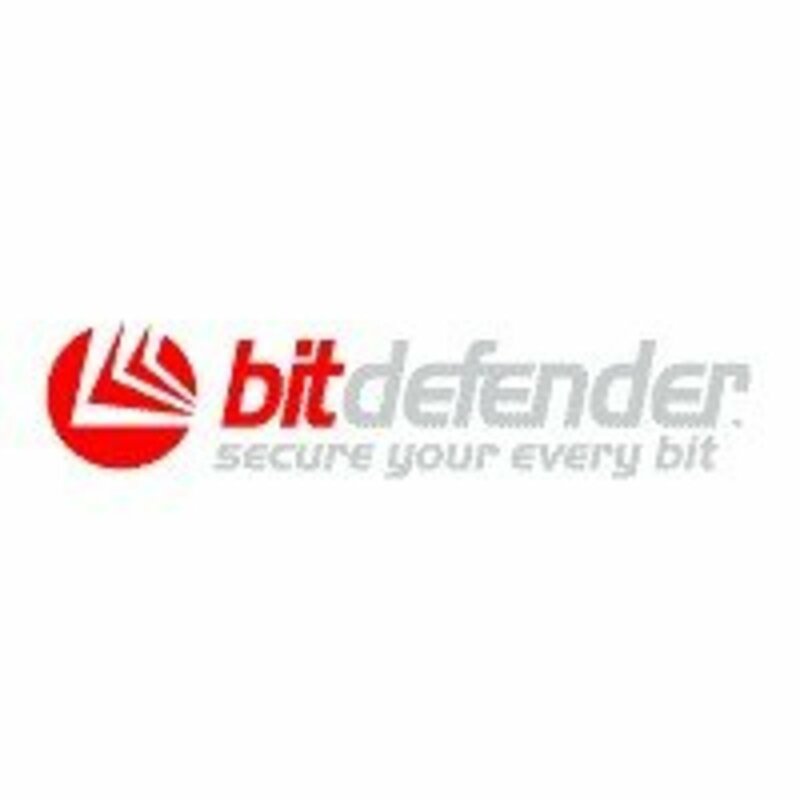 Besides, BitDefender allows send a report to their security lab once the scan is finished and there is a virus detected, thus you can help this great product become even better ;) The drawback is that it supports IE browser only. For a Firefox fan like me it's not that convenient. But it is indeed a powerful service, which I've seen detect infections other products failed to. Another great feature of BitDefender is the ability to choose directories for scanning. Say, if you have several HDD partitions, you can limit scanning to C:\Windows and My Documents, where malware is most likely to be living. This option can significantly reduce the time compared to the full computer scan. McAfee FreeScan is the name! I guess it is the synonym for computer security in the US ;) Like a narrative. The scanning service is solid as everything produced by the brand. As to cons, it requires IE 5.0+ and works with ActiveX controls only. If ActiveX is disabled, than you can't use the service. McAfee FreeScan offers a browser window with real-time statistics - number of files scanned, infections, name of detected virus. McAfee Security Scan does not allow for infections removal. Windows Vista is supported in addition to previous Windows versions. ESET's Online Antivirus Scanner uses its patented ThreatSense technology which is featured in company's desktop and server products. Initial download of antivirus signature database takes under a minute if you're on a broadband. ESET offers to remove the detected infections - for this you need to check the proper boxes (see screenshots below). Spyware is removed as well! NOD32 Scanner works only with ActiveX so it requires Internet Explorer (as most online virus scan services do). Panda security software maker offers anyone to try out its TruPrevent technology. With a database of 185,000 threats its online scan can detect a huge number of infections. Also scans for spyware modules (like dialers, jokes, rootkits, etc). Panda claims to be able to disinfect the known spyware (sadly, this is no longer true for a free edition), and thanks to its heuristic engine, it detects even unknown types of malware. The antivius database is updated daily. Optionally you can place a shortuct on your desktop to connect to Panda ActiveScan whenever you need to, without opening a browser window. Note: if you have antivirus software installed with resident monitoring ON, it may report a virus in Panda downloadable files. Do not worry! This is a common false-positive. The reason is that Panda doesn't encrypt its database of antivirus definitions, and when it is being downloaded onto your PC, a stand-alone AV can decide you're getting infected. Other security vendors set some kind of encryption to its malware definitions so that no third party AV software is able to detect the virus signatures inside archives. Rest assured that Panda is not infecting your PC. Panda ActiveScan Free Antivirus does not allow for infections removal. Apart from listed above virus scans, there sometimes rises a need to check the safety of one single file. To do it quickly, it is best to use a special service for scanning separate files - without the need to download anti virus definitions. Among such services the following are worth mentioning. There's a captcha to be entered in order to scan a file. All you need to do is just browse for the target file on your PC, enter the captcha and press 'Scan' button. DrWeb is another PC security product from Russia. The desktop version of DrWeb is very popular in Russia and CIS countries - and there must be serious reasons for that. DrWeb offers to scan single files - the webpage is as simple as possible, there's nothing on it except the "browse" button to specify the path to the target file. 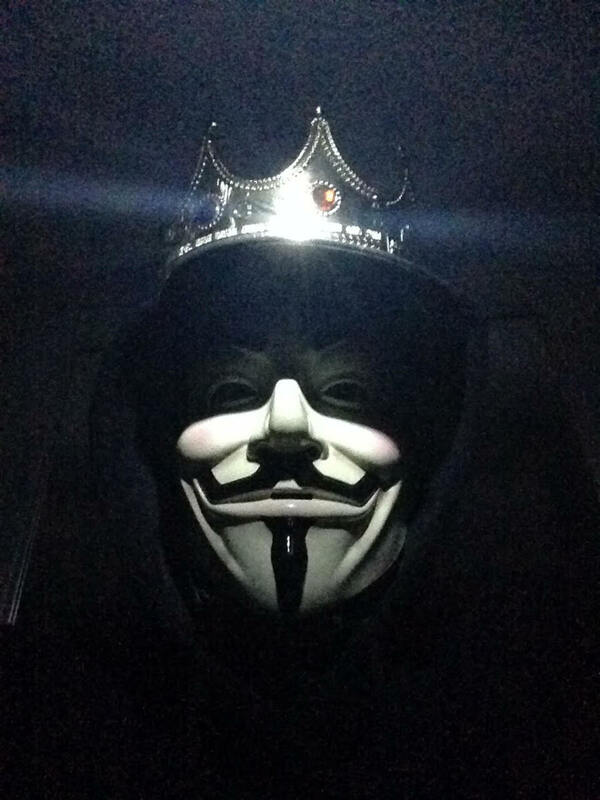 VirusTotal deserves special attention. It provides interface in multiple languages. It's anti virus definitions database in compiled by biggest PC security software developers - that is, a single scan equals to simultaneous scanning with different antivirus engines. The cool thing about this service is that it allows to send files for scan via email and even add a command to your right-mouse context menu! (Windows users only) That way you can send a file for a thorough scan just by right-clicking mouse. Windows Live OneCare is available both in a desktop version and an online virus scanner. The latter allows to check hard drive for unnecessary files and delete them, and also tests the strength of PC security setup. As you can guess for sure Microsoft requires Internet Explorer to be used for running Windows Live OneCare scanner. It's been a couple of months since EMSISOFT updated it's desktop a-squared anti-malware to version 4.0, and now the company decided to join the army of online virus scanners! EMSISOFT web malware scanner offers anyone to check computers for Trojan Viruses, Worms, Backdoors, Rootkits, Spyware/Adware, Keyloggers, Dialers, Hacking Tools, Riskware and TrackingCookies. All you need to run this tool is Internet Explorer with ActiveX enabled and a stable Internet connection. Upon first scan you will be prompted to install a-squared ActiveX components. Agree to that. Emsisoft Anti-Malware is a Malware scanner and remover of the latest generation which is specialized in Trojans, Dialers and Spyware. 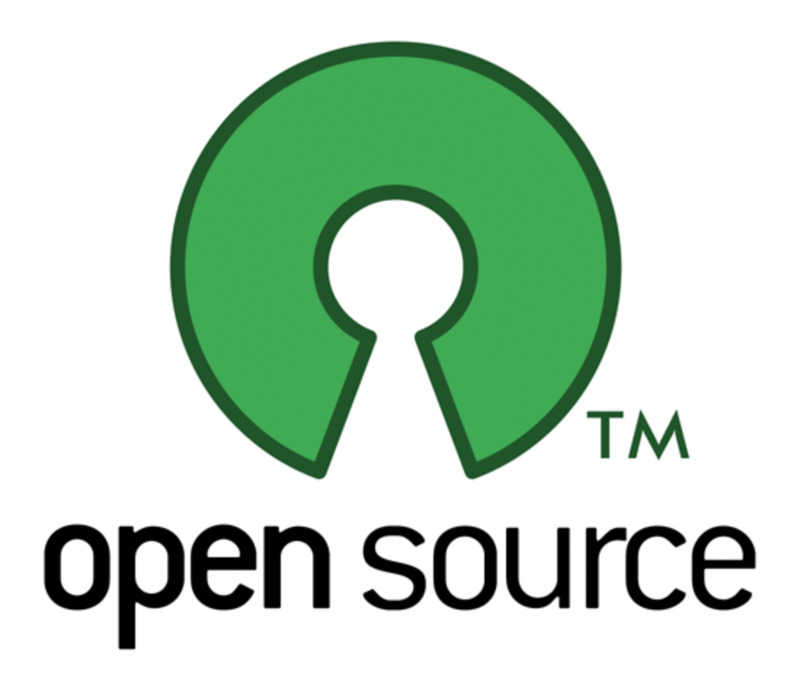 Native support for Windows 32-bit and 64-bit versions. Multilingual user interface. Quick scan is meant for fast checking of Windows most sensitive areas, like Windows and System32 folders, Documents and Settings, system memory, and the Registry. Smart scan also checks Program Files for malicious software installers. Deep scan takes the longest to complete because it is a thorough check of all hard drive space, byte-by-byte to ensure not a single piece of malware is hiding in the system. Custom scan allows you to choose which specific folders to check for malware presence. The web malware scanner window conveniently displays the number of definitions loaded, and the date when latest updates were added to the database. EMSISOFT offers a new a-squared free malware removal tool with web interface. How would he get to my PayPal account if I died tomorrow? What is Rapid Information Overlay Technology or RIOT Software? Great article. I tried several of these scanners but I had no luck. I gave up and called these guys http://www.boxaid.com and they finally removed it. Took them 3 hours so it wasn't easy. infected, can you tell what kind of infection you're trying to get rid of? Hello Charlemont, glad to find you! Hope you can help, have unknown virus, literally sqeals like a pig. Will not allow the opening of any program. I am in safe mode, attempted to execute HiJackthis, got as far as the terms and conditions but could not figure out how to agree to them and get past. I should mention I am runnig in safe mode and my font is HUGE! Help please! I'm usually leery of free virus scan services. It's nice to see a list of legit ones. mr jassi gill..scan it online first. yaar virus pc main koi vee antivirus install hone nhi deta ???????? ?what,s problem yaar???????????????????? I've been using Avira and it consistently catches things my other scanners haven't caught. al thanks for drawing my attention to it. I've updated links and added notes for scanners that do not allow for malware removal. Kaspersky online virus scan has been dropped off so I removed it whatsoever. All this is very messy. clearly if it's only detection or removal/desinfection is available. Thanks for letting me know about the changes made to Panda online virus scanner. Indeed they removed disinfection from the list of features available in a free version. Panda has changed their free online version to "Scan only" like Kapersky did, so Panda no longer removes viruses for free. To remove any viruses, you'll have to pay to full version of software. I was having a lot of problems opening files on my computer, but after i ran trend micro housecall; everything was dandy! i guess nod online scan is a winner in asia. My best experience with antivirus program is AVG and NOD is a god nr2!Avast i have not tried yet. avg is a so-so for me..i have xp. and even though its free,it makes you keep re installing it to keep it going as the free only lasts 30 days max. The fact of the matter is that most virus checkers can only identify about 20 percent of the threats out there. The best thing to do is make sure you use safe internet. 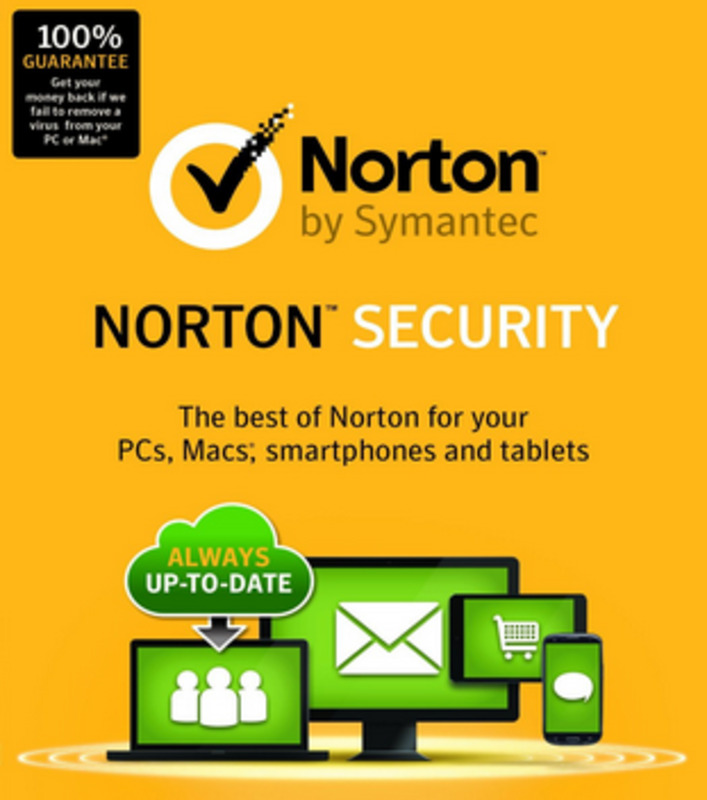 Safe internet practices will protect your PC far more than any antivirus tool. If you need a tool ClamWin is free and ranks among the best in virus discovery, although lacking the many of the user interface features of proprietary offering this little scanner does offer point and click scanning and other such comfort features. In the future I would like to see virus scanners not only detect viruses but files that are prone to infection and out of date. For instance if there is a popular software or bios that is out of date a poses a security risk then a vulnerability scan should pick that up. This is most likely already being done -- but I have reviewed all the most recent packages yet. To Charlemont....A very well written, and informative guide. Thank you very much for the research and information. trend micro is the best ! Susa, chanced are you MAC doesn't need any scanners. I believe software makers don't find MAC's to be as prone to infections as PC's. I can't find the version for MAC, just pc? Are you using any different version of Windows? The folder might be hidden. hi and thanks for the great write up! just wondering, my avg scan found "aedupont.dll," a "Trojan horse Downloader.Generic9.BBYW" in C:\Windows\Installer\1fdca4e.msi:\Cabs.w71.cab:\aedupont.dll. Anyone recognize this? And how can I access the "Installer" folder? I can't see it in the Windows folder. I always use Kaspersky but they are currently down. I believe they are updating/upgrading. For now, they offer a free file scan, but I want to do a full deep scan on my son's computer. Ended up here while searching, and just want to say THANKS for the great research! I think I'll try several different scans, just to be safe. 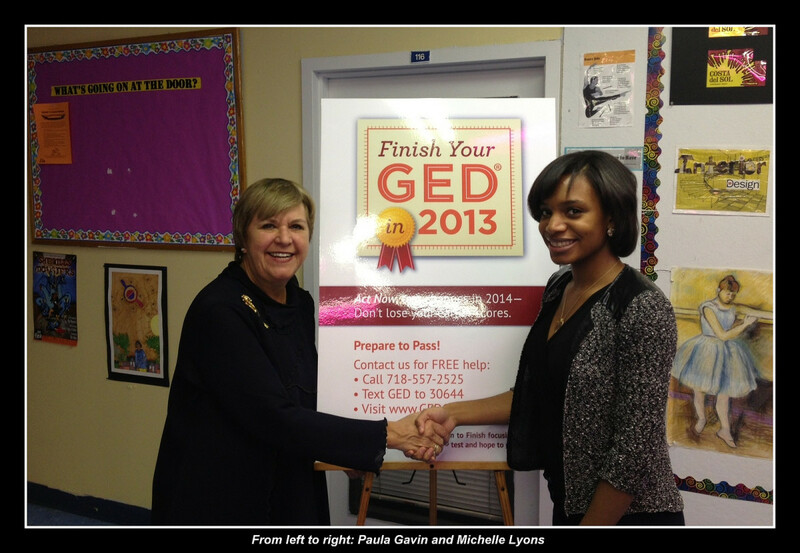 Thank you again for your dedication to this topic! wow, it's a gr8 hub, i was looking for the same information which you post over here...thanks a lot. Awesome! I REALLY hate those "free scans" I BET THEY PUT VIRUSES INTO YOUR COMPUTER TO MAKE YOU BUY IT! Finnaly, i'll be out of this "special safemode" that allows me to play games, get on the internet and do pretty much anything! THANK YOU!!!! @Hemanth wtf? wasting your time? Your wasting your time for posting a stupid comment like that. I have no idea why you are wasting your time on this! Are you doing a professional research on computer malware? good list for online virus scan services,thanks for that good work. nice thing you do here, I appreciate it, thank you. GBU. Sora, viyozeji.dll is not a valid system file so it's safe to remove it. If the fike is not there, then the error is caused by some registry reference which needs to be removed. Normally anti-malware programs are capable of removing invalid paths. I do not understand all of this, but I know that this trojan is annoying. It is called viyozeji.dll. The path is C:\WINDOWS\system32. I doubt these virus removers can derezz this trojan. Great list, Nice breakdown of System Scanners and Single File Scanners. Don't trust just one online scan though. I have used 3 different scanners (F-Secure, Kaspersky,Bitdefender) on a single PC and each scanner picked up on different virus/trojans/spyware. Yep yep yep AVG is quite good. Kapersky is I think better. Thumbs up. thanks for your list, u did a great job! Great list of free scans...Its a shame that many companys offer free scans and people are duped into thinking that they are having a free scan when after the scan it asks for cash to clenn delete system problems...!! Awesome List. The only one I have tried before is the Trend Micro one. The online scanner is a really good tool that has helped me a couple of times when working on computers. Hey, pretty, nice 'job' you've done in making this!!! 'sure proved useful for me! Thanx, Do Keep Up the good work and More Power to You... !!! I really recommend AVG - am using their free AV on both desktop and latop - works well and is very effective. Every once in a while I'll run every single online scanner there is just to make sure I'm getting everything. With Bitdefender you need to set your security settings in IE7 to medium using the custm setting, not medium/high with default like they say on their troubleshooting page. Also you can no longer add them to trusted sites as you can only add https prefix to that zone, not http. It's good you mention the sites that require CAPTCHA so that blind users know not to waste their time navigating to those sites. Bitdefender also has a CAPTCHA to leave feedback. compu-smart is absolutely right. Those website deceive you to download after the scanning progress it urges you to buy the software like spywaredoctor for instance. Thanks for posting those free softwares charlemont. You have done very good research on this topic. Few really good online scanner Which I knew were the Avast and AVG but nowdays AVG is not doing good job like some of the other scanners. A 'thumb up' to this painstaking effort. You have done lot of research to ensure this much effort. Hats off to your goodwill! Ive used AVG and Avast with great results on my XP machines. You really have to make sure youre safe online nowadays. Great hub. I always use Trend didn't know about the other online scans. I wasn't aware there were free online scanners. Thanks for the info. Yes, thanks for the list. I've used the online Kapersky and like it. These free scanners are convenient for all the free PLR content I get in all the various &quot;giveaways&quot; going on. Thank you for commenting, MOmmagus! These are 100% free as I've tested them personally =) But I've seen a couple of websites screaming about 'free' scanning while omitting the fact of paid removal and desinfection. 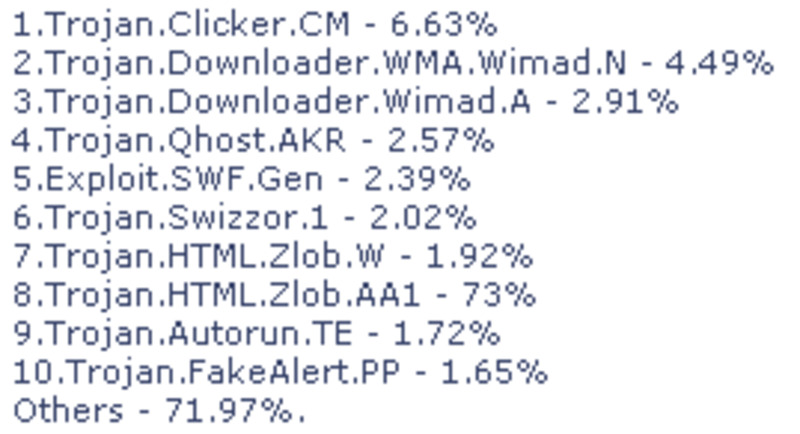 I will sure add AVG as well ;) Czech programmers are really cool antivirus makers, they offer Avast and AVG for free. AVG is another free one which I use and have found it picks everything up.